J2 Records and the John Jorgenson Quintet proudly present One Stolen Night, a 13-track collection of pure musical artistry in the tradition of Gypsy Jazz. The John Jorgenson Quintet features Grammy Award-winning guitarist John Jorgenson, a founding member of the Desert Rose Band, the Hellecasters, and six-year member of Elton John’s band. Artists ranging from Barbara Streisand to Bonnie Raitt to Earl Scruggs have sought out Jorgenson’s guitar work. 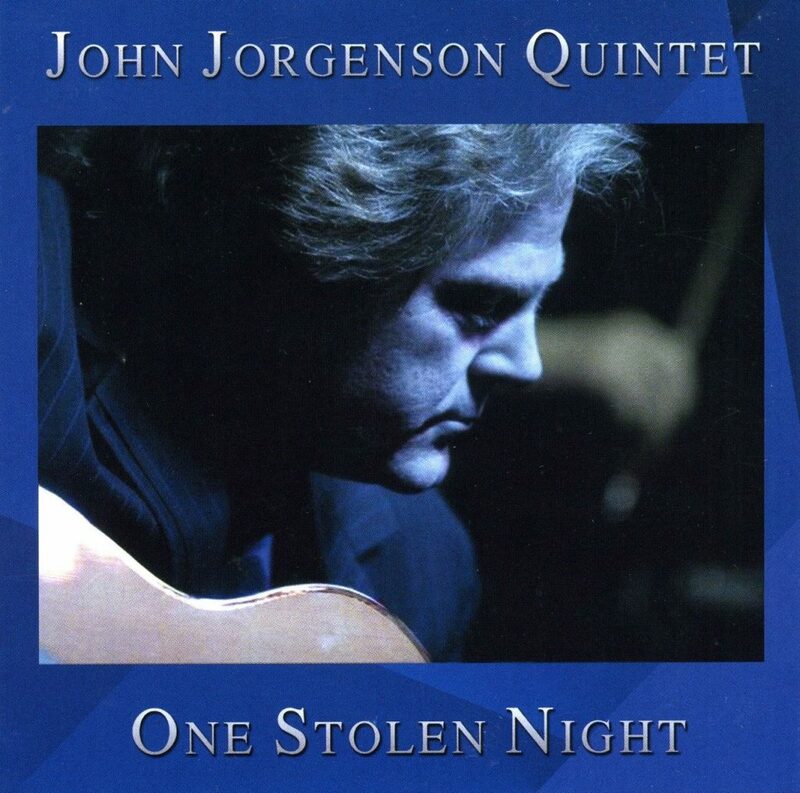 J2 Records and the John Jorgenson Quintet proudly present One Stolen Night, a 13-track collection of pure musical artistry in the tradition of Gypsy Jazz. As proven in the 2 last releases, John and company do not replicate the hot jazz that blazed through Europe and beyond in the early 20th century. The JJQ have expanded upon this extraordinary musical genre. It is presented to you in a contemporary and spectacular performance. Guitarist, singer, reedman, and composer John Jorgenson deserves extra points for doing what very few Gypsy jazz musicians before him have had the creativity or guts to do: take Django Reinhardt's musical legacy and expand upon it rather than slavishly celebrating it by imitation. One Stolen Night is one of two discs he released in 2010 to mark Reinhardt's 100th birthday, and fittingly enough, it does not include a single Reinhardt composition: instead, it features an explicitly Django-esque minor-key burner ("Red on Red"), a gorgeously mournful clarinet showcase ("Souvenirs de Nos Peres"), and a ballad with a distinctly Middle Eastern flavor ("One Stolen Night") that connects this album to Jorgenson's other 2010 release, the orchestral Istiqbal Gathering.